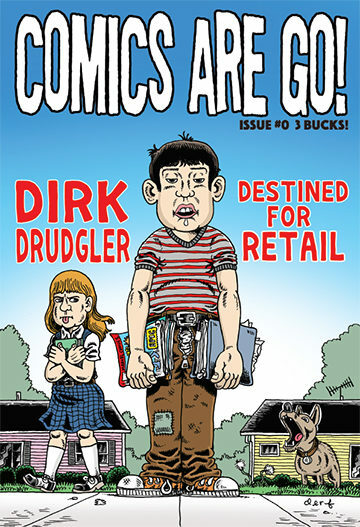 Comics Are Go #0 was written by Dirk Drudgler and features the outstanding work of several amazing artists. Drudgler, who has spent the last 20 years working in retail sales at his comic shop, Comics Are Go, has always been fascinated with the unusual and interesting people who worked and consumed in the comic industry. “I have hundreds of great stories that I tell all the time. It just seemed like a good idea to actually get some people whose work I’ve admired for many years together to put these stories down on paper, ” said Drudgler. 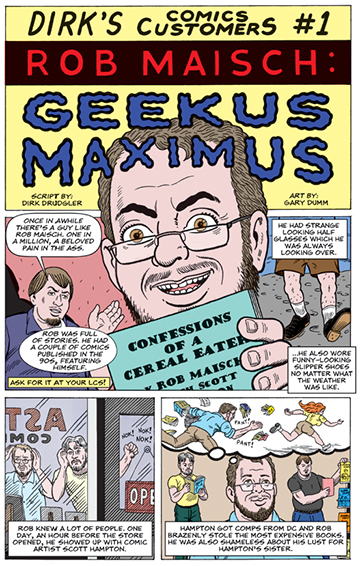 Featured in the comic are works by such notable artists as Derf (My Friend Dahmer), Gary Dumm (American Splendor) and John G (Lake Erie Monster). Other artists contributing work are Aaron Lange, Jerry Beck, Lex and Glenn Baskin. The comic was fully funded with a successful Kickstarter campaign. 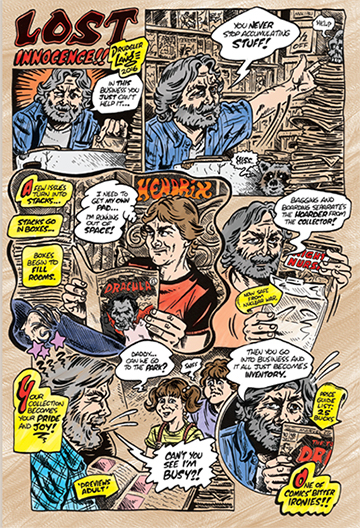 Drudgler, who with John G was a co-founder of Cleveland’s very successful small press convention, Genghis Con, had known many of the artists personally and says the experience of working with them on a professional level was the most interesting thing about the project. “My plan is to produce 6 total issues, the next of which will be out in Fall 2017,” said Drudgler. Comics Are Go #0 is a 20 page, full-color independently published comic with a limited print run of 1000 copies. As of March 2017, there are only about 100 printed copies left for sale. Drudgler promised his Kickstarter supporters there would be no reprint of the comic, so once the print copies are gone, they are gone.